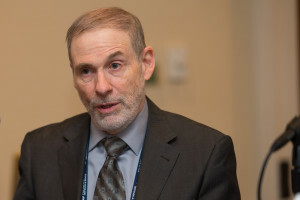 Bill LaPlante, MITRE: The NC3 system “has been studied a lot, its life has been extended as long as we could, and that’s where we are." 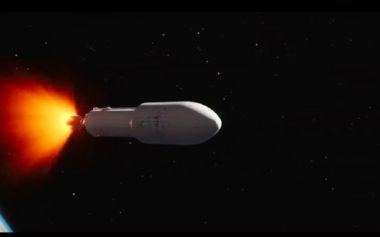 Maxar's exit has a silver lining: DARPA can and should repurpose the RSGS program to defined U.S. military satellites against attacks from supposedly peaceful Chinese and Russian robotic spacecraft. 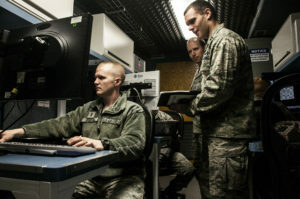 In a new report on nuclear modernization, the Congressional Budget Office projects rising costs for airborne command centers and for early warning and communications satellites. 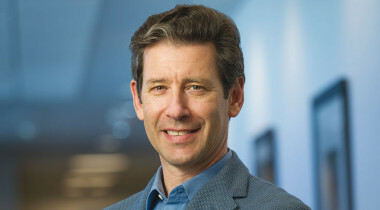 Electronic threats against satellite communication have rapidly escalated in the last few years and will continue to advance in the foreseeable future. 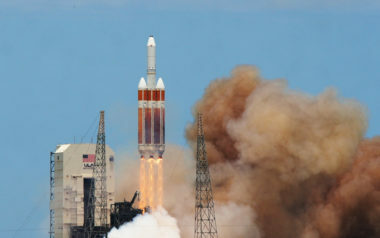 This was ULA’s eighth launch this year, the 131st since the company was formed in 2006, and will be its 50th launch for the U.S. Air Force. 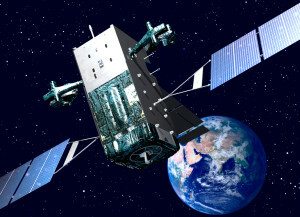 The U.S. Air Force is planning an October launch for AEHF-4, the fourth of the Advanced Extremely High Frequency constellation of nuclear-hardened classified communications satellites used by the military to plan air strikes, transmit secret mission plans and coordinate operations around the world, including a nuclear war. 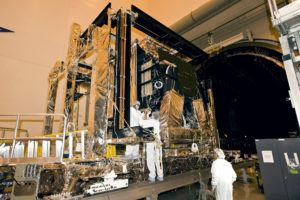 A problem with the power regulator on the Advanced Extremely High Frequency (AEHF)-4 satellite is forcing the U.S. Air Force to slip the launch of the satellite until the coming calendar year but the service says the delay will not result in a major mission impact. 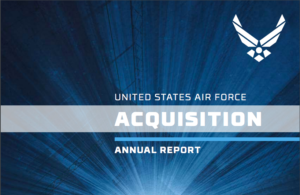 Lockheed Martin on July 20 reported lower revenue and operating profit at its Space Systems division for the six months ending June 26 despite a large profit contribution by launch-service provider United Launch Alliance (ULA). 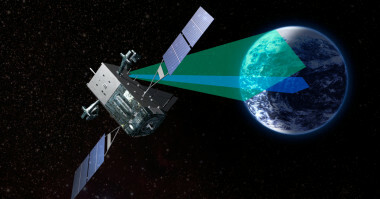 A top Lockheed Martin space executive said the Air Force might need to build two more protected communications and two more missile-warning satellites as it transitions to next-generation architectures for both programs. 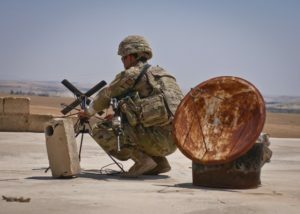 The Defense Department may abandon its practice of distinguishing between wideband, narrowband and protected communications on its next generation of tactical communications satellites, a top Pentagon official said March 7. 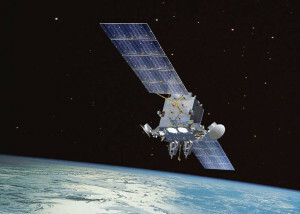 The U.S. Defense Department plans to decide the future makeup of two of the Air Force’s most valuable satellite programs before the year's end, the Pentagon’s acquisition czar said Feb. 22. 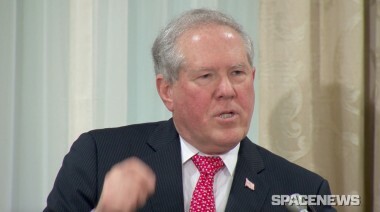 Frank Kendall, the Pentagon’s top acquisition official, spoke to the Washington Space Business Roundtable Feb. 23, offering insight into how the U.S. Defense Department is approaching some of the military space community’s long-standing concerns. 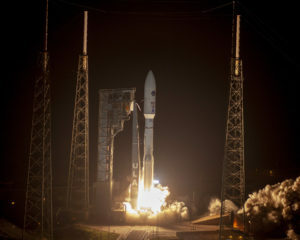 The U.S. Air Force in late July conferred “initial operational capability” (IOC) status on its constellation of three highly secure communications satellites, a declaration that comes five years after the launch of the first and means the system can now be used more broadly. 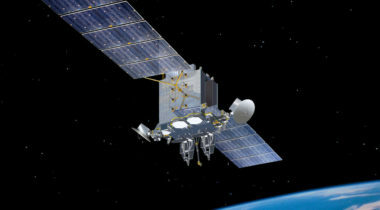 Military satellite contracts are hard to come by these days, but Boeing sees opportunity as the U.S. Air Force ponders its next-generation architecture.